Writing Your Life Story, Who Cares? Everyone has a story — a unique story. Never underestimate the power of the story or the power of telling your story. Your story is extraordinary. 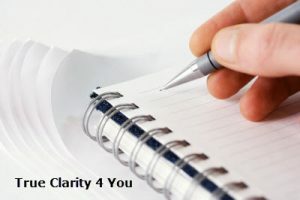 Writing your life story enables you to acknowledge and clarify past perspectives about significant influences, triumphs, challenges, and life lessons. I don’t mean write a 24,687- word novel. I’m saying you might want to do a quick overview of your background covering; family origin, composition, and dynamics (parents/siblings), education, or training experiences, career – work life, significant relationships, etc. While that information shaped how you got to where you are, it does not necessarily determine where you are going. Old stories and old mental tapes may color your worldview, but those tapes can be archived or erased if they do not fit the concept of your desired future. We are the sum of our experiences and exposure. Our stories shape our reality of the world and our aspirations. Only by examining our stories can we decide to move forward or change our destination. An unseen hand writes our story as we make decisions, adopt behaviors and choose paths and people in our lives. It is important to know your story. Acknowledge your self-talk, is it on a loop? Positive? Negative? Your brain will subconsciously incorporate whatever you regularly believe as reality. Imagine being able to reshape your sense of self. Imagine being able to change your destination. It all begins with a mindset that becomes crystal clear when you write your story. What in the world does all this have to do with your career or personal plans? To begin, you have a lot more living to do. The future looms large as it rushes towards you. You may want to determine your destiny on your terms as much as you can. Writing your personal story can be insightful for you. Even if no one else cares, you do. It’s your life story. Grab pen and paper now.